Located one mile to the northeastern part of Brighton in West Sussex, Brighton Racecourse belongs to the Arena Racing Company. The colorful history of this fine English racecourse stretches back to over three centuries. While credible documentary evidence attests to the fact that sporting events were already happening at Brighton Racecourse as early as 1713, the very first public competitions didn’t take place until 1783. Again, chronological facts provide strong clues that the initial horse riding occasions involved members of the armed forces garrisoned here in the formative years of the racecourse. Nonetheless, civilian members of the neighboring community are also likely to have participated in these preliminary fixtures. Legend has it that George IV, during his reign as Prince of Wales, initiated hurdle races at the then fledgling Brighton Racecourse. The royal figure was taking a casual ride around the area in the company of his aristocratic mates when he discovered the amazing facility. The initial grandstand was erected at Brighton Racecourse in 1788 and was widely considered somewhat stylish according to the architectural models of the day. However, this structure was set ablaze shortly after and burned to ashes in puzzling circumstances that at once baffled the top patrons of this amenity. Nevertheless, further investigations revealed that the inferno was deliberately started by the poor squatters who had been allowed to live on the facility’s land. Around 1805, gaming activities at Brighton were disrupted as unresolved issues emerged between the management and the proprietor who had leased the land on which the racecourse stood. In fact, the clearly infuriated landlord threatened to plough the horse riding ground if he was not given his usual gratifying gift of wine. Apparently, he had previously enjoyed the customary drink every other season before and was now evidently disappointed that the singular gesture of well-deserved appreciation was unjustifiably revoked. However, he was chased off by a wrathful press gang as he attempted his absurd threats. After the difficult landowner was fully restrained, racing functions resumed in earnest. It is not clear to the present generation of Brighton Racecourse sporting enthusiasts how the farmer’s rather cheap terms were met or otherwise peaceably renegotiated. Nonetheless, it is legendarily held that he must have had the retracted favor reinstated as no further similar disruptions were ever again experienced at the Sussex sporting site. During the first few years after the racecourse won the admiration of the Welsh prince, it was principally used a favorite spot for the most fashionable races. However, it later drifted to the earlier status after the royal patron and his top classmates stopped frequenting the facility. Fortunately, railway transportation reached Brighton in 1850 and gave larger numbers of fans access to the middling racecourse. Statistics show that the introduction of railway infrastructure made it possible for fans and guests to tour the racecourse from far away cities such as London and others. As a result of this possible revenue boost, the quality of key infrastructures profoundly improved within less than a year after the very first train docked in Brighton. In fact, the racing field registered up to 20,000 fans after the second global war. With modish grandstands on either side of the home straight, Brighton was popularly considered to be one of the finest English sporting sites of the late 1800s. This relative fame continued into the first and middle decades of the 20th century. For instance, the racecourse established striking fame when it launched the Derby Trial in the 1960s. Holding a couple of other ubiquitously liked fixtures every year and continually enhancing its structural amenities, Brighton Racecourse has surpassed the bar mark to emerge as a leading world-class sporting behemoth that we see and hear of presently. Visit Brighton racecourse website here. Owned by the Arena Racing Company, Bath Racecourse is a venue for thoroughbred horses racing that is located North of Bath, Somerset. Its ovular left-handed track has a half a mile run-in and measures 1 mile 4 furlongs and 25 yards. The first racing at Bath took place in 1728. In 1811, a local family, the Blathwayts, held a memorable race at the grounds – signaling the start of steady racing events at the Bath Racecourse that continue to this day. Traditionally, the racecourse only held one meeting in a year. The number of annual meetings has progressively increased to 22 meetings in 2016. 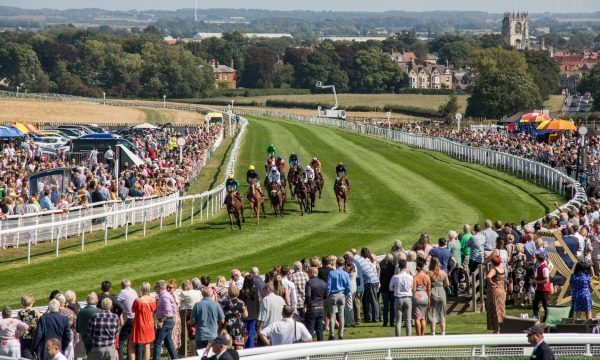 While the racecourse has hosted various notable events over the last three centuries, the Somersetshire Stakes remains the most widely acclaimed occasion whose enduring legacy survives till now. Initially, Bath Racecourse had many grandstand structures. However, some of these have undergone a series of transformative modifications in an effort to give the venue a world-class outlook that befits its racing heritage. The result of this redevelopment is a more spacious and splendidly magnificent facility that attracts huge numbers of racegoers, patrons, and sports sightseers from all over the globe. Bath Racecourse has been undergoing major architectural alterations to meet the ever-changing needs of racegoers and racing enthusiasts alike. For instance, the facility started a multi-million pound redesigning in 2015. The mega structural overhaul is proudly financed by the Arena Racing Company – the biggest group of racecourses in the whole of the United Kingdom. In terms of amenities, Bath Racecourse is among the leading racecourses that provide top-notch social and hospitality services in the United Kingdom. To begin with, the racing venue is surrounded by five widely recognized hotels. These popular Bath hotels include The Studio, Church House, Home Farm Boreham, Calcot Manor, and Godney Post House. These dining and accommodation facilities serve alcoholic and non-alcoholic drinks, native and exotic foods, expertly prepared cocktails, as well as affordable lodges. All the five hotels have previously received progressively more rave reviews from both popular British patrons and visiting foreigners. Located in Bath City, the Bath Racecourse area features attractions such as excellent relaxation hot springs. Visitors to the universally recognized racing venue have the chance to book the best Bath hotels and get the opportunity to explore the fabulous sounds and sights of southwest England. For lovers of clubbing and nightlife, the ornate Georgian city, which is beautifully hidden in terraces and winding lanes and streets, provides more than anyone can fully sample. Exploring the city of Bath, anyone will no doubt discover a lot of thrilling nightlife that suits their wildest tastes. Among the most spectacular highlights around the racecourse include buzzing pubs, arthouse theatres, and cinemas, as well as other great facilities to while away even the most boring night in a most colorful style. Finally, visitors to Bath Racecourse have the chance to savor the best of arts and cultures in Bath. The city has always showcased its ardent love for the arts in rich galleries that include both native and international collections. The expansive city looks like a large open-air museum to a first-time sojourner. Much of the metropolis is a World Heritage Site owing to its indelible associations with the olden Roman Empire. The Georgian architectural themes that dot the city are a scenic site to behold to Bath Racecourse visitors. More videos from Bath here. Beverly Racecourse is a venue for thoroughbred horse racing that is located in the famous town of Beverly in the East Riding of Yorkshire, England. The inaugural meeting at Beverly Racecourse was convened in 1767, prior to which only a few races had taken place at the sporting amenity. However, racing events at the facility were again temporarily suspended between 1798 and 1805. Later in the 19th century, event resumed and three meetings were held annually after the York’s May meeting. Ever since the horse racing infrastructure has been progressively expanding to include more amenities and accommodate an increased number of patrons and racegoers, finally becoming one of the most significant horse racing amenity in the 21st century. This world-acclaimed right-handed racecourse covers about 1 mile and 3 furlongs. Although predominantly flat, a few stiff tight turns emerge towards the uphill finish. The first grandstand at the racecourse was commissioned on 22 May 1767 at a cost of £1,000. However, a more elaborate £90,000 stand was unveiled in 1968. It has since won the now ubiquitous description of a simple sporting center without any pompous grandeur but one that fully serves its primary horse racing purposes all the same. The premier enclosure is one of the most conspicuous features of Beverly Racecourse. It features a fabulously designed terrace. In a similar vein, the brand new Attraction Restaurant for afternoon tea and a la carte dining is another prominent feature of this racecourse. For patrons who have a keen appetite for cocktails, the Xing Cocktail Bar offers freshly done cocktails and tasty juices such as the Strawberry Daquiri in Yorkshire. Additionally, the Beverly Racecourse grandstand and paddock is another outstanding feature that is worth a second look. Within this section, there is the Rapid Lad Bar for chips, sandwiches, hot pies, and a large bar that can put up a few hundreds of patrons. Within the enclosure, there is also the Paddock Bar for meat platters and seafood cold meat that also serves both alcoholic and non-alcoholic beverages to racers and patrons alike. The Touch Above Bar is another hospitality section that cannot be overlooked when highlighting the great attractions at Beverly Racecourse. Other distinguished facilities within the grandstand and paddock area include the Sweet Delights goodie hut and the Minster Bar and Lavender Lawn which is famed for its great beverages. Moreover, the course enclosure houses the widely liked Hurn Bar which provides affordable expertly prepared drinks and snacks. The course enclosure also has an expansive picnicking area in which visitors are allowed to carry their drinks around the recreational space. Newmarket Racecourse is a thoroughbred horse racing facility that is located in Suffolk, England. It is one of the largest racing venues in the entire country. With a crowd capacity of about 45,000, the facility is popularly referred to as the headquarters of horse racing in Britain. Without a doubt, it is one of the most influential horse racing amenities in the United Kingdom. Its state-of-the-art facilities have distinguished it from the other middling racing establishments in England and Europe at large. It has evidently cut itself a coveted niche as a premier destination of choice for top ranking jockeys and spirited racing enthusiasts from all over the world. There are good reasons why Newmarket is seen as the headquarters of horse racing in the United Kingdom. First, it is one of the leading racecourses with regard to the number training yards. With tens of well-structured and fully equipped training yards, it is ranked above even the most widely praised sporting facilities within the same rating and category. 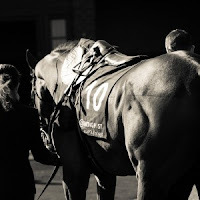 Newmarket not only has numerous training yards but also keeps hundreds of competent health-related professionals to ensure a most rewarding experience for both jockeys and their gallant horses. With hi-tech first aid and emergency human health services, the racecourse is simply in a top class of its own. Again, there are animal health experts to take care of thoroughbreds in the event of injury. 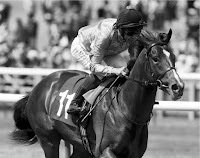 Some of the leading racing organisations at Newmarket include Tattersalls, the National Horseracing Museum, and the National Stud. During track events organised by these racing organisations, crowds throng the spacious stadia and turf to the tune of tens of thousands. It is a booming opportunity for sports journalists from different media houses from all over the world. Sponsors and betting companies also join the thrilling horse racing to promote their brands and make a quick pound respectively. Newmarket is arguably one of the oldest racing facilities in Britain. Racing at the venue dates back to the days of James I. In fact, Charles II was a regular high-ranking guest at the then fledgeling racing facility. Charles II attended track events in the company of his brother who would later become a noteworthy monarch, James II. Around this time (most sports historians place this within the 1740s) the racecourse only had two major races – The King’s Plate and The Town Plate. However, the administration added two more notable races before the end of 1745. This additional sporting activity was sponsored by a group of local charitable traders. During the times of Charles II and James I, racing activities at Newmarket were only held twice a year. Although most of the track activities take place in April, some sporting activities are also a constant spectacle for a few days in October, every year. While the very first racing activities such as competitions and race-planning meetings were paid for by the landed gentry, the management would later use track activities to generate money for financing the racecourse’s everyday activities. The idea to use track events and extra-sporting activities to generate money for the racecourse was touted in the second spring meeting that was held at Newmarket in 1753. 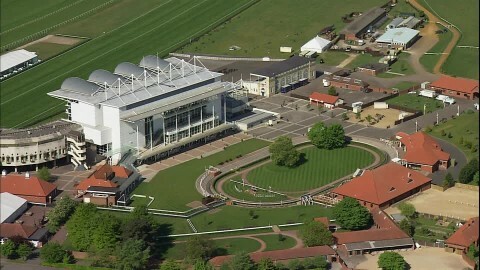 In terms of design, Newmarket is one of the most well-laid-out racecourses in the United Kingdom. The facility, in fact, has two courses – the Rowley Mile Course and the July Course. Both are wide and expansive tracks that are exclusively used for flat races only. The Rowley Mile Course has one mile and 2 furlongs straight with minor undulations that move toward the bushes – measuring up to two furlongs. The second last furlong covers a downhill stretch while the very last furlong forms 'The Dip’. The races beyond the distance start on the Cesarewitch and the Beacon’ course which turns right-handed into the straight. The July course, which is also called the summer course, has one mile straight which is also called the Bunbury Mile. Racegoers and sports' fans at Newmarket are a commendably disciplined lot that chooses their dressing code with utmost care. As such, the track has had very few problems with patrons with regard to the issue of dressing. However, some visiting guests have occasionally had to be warned that wearing fancy dressing such as would make other people feel offer ended. Nonetheless, it is imperative to understand that the kind of dressing allowed at the facility depends on the area and the category of people in question. Trainers, for example, are not allowed to wear casual clothing such as t-shirts and jeans. While the dressing code may also be dictated by the occasion at hand, it is imperative to familiarise oneself with the prevailing dress codes to avoid finding yourself on the wrong side of the racecourse’s regulations. It is also important to note that the management may refuse an ill-dressed visitor/guest or terminate a contractual engagement with corporate partners who don’t seem to adhere to the stipulated dressing rules. As they popularly say, prestige comes at a price and Newmarket sets an example of class and refinement. For people who are visiting the Grandstand, the Paddock, and the Family Enclosure, the dressing code is a little bit more relaxed. For instance, racegoers around these areas are allowed to wear shorts and T-shirts while enjoying the sun. The only common restrictions that the racegoers may have to bear with are those touching on things such as the appropriateness of the clothing one and the religious attire guidelines to be embraced by racegoers to avoid vexing others or infringing on their rights. For example, it is illegal to walk or be found bare-chested in these three areas. Newmarket Racecourse is not only famous for racing events alone. It is a hospitality behemoth that provides a number of unrivalled meeting and conferencing services that other racing sports can only dream of. Whether it is a wedding reception or a corporate get-together, Newmarket is without an inkling of doubt the place to take your function. Their caterers and technical support staff teams are ever willing to partner with you to make your ceremony/occasion a memorable success.